Today, September 1, 2018, the world has come together to celebrate World PCOS Day #worldpcosday. September is PCOS Awareness Month. PCOS stands for Polycystic Ovary Syndrome. It impacts 10% of women and girls worldwide. I invite you to watch the video (~18 minutes) and/or read more information. It’s a genetic condition and there is no cure, not yet. Knowledge, understanding, and awareness about PCOS are low, including in the medical community. PCOS is a syndrome that shows its colors in puberty when she presents irregular menstrual cycles. Many of the women and girls don’t know they have it until years later. Many of the women are unaware of symptoms and health consequences. The medical community lacks knowledge about PCOS. It’s just the reality! Infertility is a serious issue and caused primarily by cysts. It can be a struggle and expensive for some women to conceive. Obesity is predominant in women with PCOS. Approximately 5-10% of the women are “lean” – known as “lean PCOS”. Acne, excessive facial hair, and hair loss also other health consequences often due to elevated testosterone levels. If that’s not enough, high risks of pre-diabetes, insulin resistance, Type 2 Diabetes, cardiovascular disease, dementia, and cancer. The impact the extra weight is taxing. Whether weight loss is now the doctor’s prerequisite to a fertility treatment, management of a health issue, or to just feel and look better, PCOS takes a toll physically, emotionally and mentally. It is significantly harder for a woman with PCOS to lose weight — let’s just say, it’s a complex syndrome. They witness, feel, do their best to fight the weight gain daily. Often women with PCOS experience gain weight in the “fast and furious” style. Many women live years with PCOS without proper diagnoses. 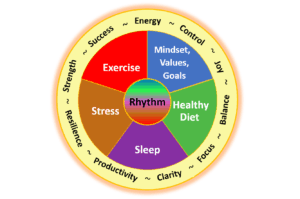 The yo-yo weight, fatigue, and lifestyle add more stress, anxiety, overwhelm, exhaustion, and even depression. What does help women with PCOS? ♠ Personalized approach & commitment so that they feel empowered to take action to daily steps that build consistency of healthy practices. It’s a journey! 2) High levels of androgen hormones, especially testosterone. 3) Multiple/poly cysts in ovaries seen via ultrasound. A Daughter or Granddaughter with Irregular Cycles? What often happens is the mother takes her girl to the doctor to identify and ‘fix’ these irregular cycles. 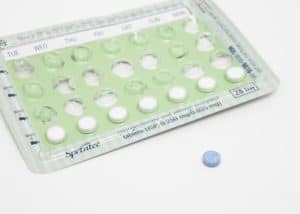 The birth control pill becomes the answer to hormone irregularities. Unfortunately, based on women with PCOS go through, the medical community seems uninformed. Many doctors do not relate irregular cycles to the possibility of PCOS. Hence, the need to keep raising awareness so the parents can ask and demand better services. My PLUG…Don’t let the birth control pill be the ‘fix’. It does NOT fix anything, it’s often a band-aid that hides the true colors of the issue. In the long run, the pill contributes to additional hormone imbalances. For the sake of an example, let’s say the pill becomes the ‘solution’, here is a possibility. The young woman continues to grow and develop. Soon, she starts to gain weight. She may think, let me eat better and exercise more. By the way, there is no doubt that unhealthy eating and lack of movement contributes to anyone’s weight gain. I started to gain weight, more acne, and for some reason, hair is growing faster on my face. Could be the hormones in the pill? The doctor recommends another brand. The struggle continues and starts to impact her physical, emotional, and mental abilities. 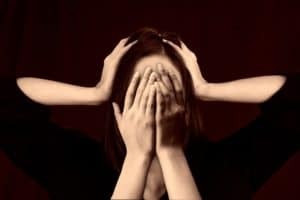 Next, she asks herself, ‘What’s wrong with me? What am I doing wrong”. Eventually, that woman finds the love of her life, he loves her for who she is and not for how to looks. They get married and decide it is time for a baby. They try but cannot get pregnant. Throughout her unknown PCOS journey, she meets with 4-5 doctors until proper diagnose is made. She then enters the battle against PCOS and pro-fertility journey. She elevates her intentions, finds out that seeking help is a strength, and connects with a community that speaks their language and understands her struggles. Women with PCOS are STRONG ladies. They DO NOT GIVE UP. They fight hard and harder than that many of us (PCOS Free) will ever experience. All starts with awareness and education followed by consistent action. 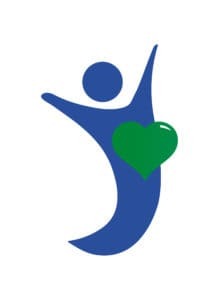 At Be Fab – Be You LLC, we educate, motivate, and help them set goals and strategies to help them improve quality of life and reach their goals. 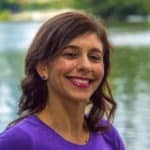 As a health and insulin resistance coach (IRC) and personal trainer, I focus on improving their insulin resistance (IR) through nutrition, exercise, sleep, stress management, and the mighty mindset. Many studies and trial are reaching a consensus that insulin resistance is a critical component in the management of PCOS. ⇒ On October 17th, Lifestyle Botty Camp for PCOS and Insulin Resistance, a 6-week online group program, starts. We will tackle lifestyle areas that impact the daily lives of women with PCOS and IR. ⇒ Sweet Redemption Solution is one of our signature programs. It is targeted to balance blood sugar, increase insulin sensitivity, lower inflammation, restore hormone balance, improve digestion, and much more. You will learn more about your body than what you could have ever imagined–it’s a beautiful incredible journey of awareness and accomplishments. Currently offered to one-on-one online or in-person. Visit www.PCOSChallenge.org to access tons of resources (studies, presentations, videos, etc) and connect with the community. Sasha Ottey, the CEO/founder of PCOS Challenge who has PCOS herself, has been dedicating her life to the cause. She led the initiative to introduce PCOS in Congress—Read HERE. 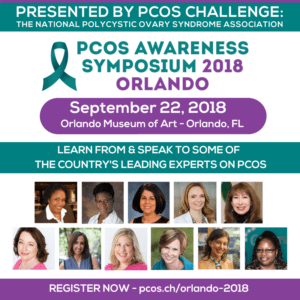 PCOS Awareness Weekend 2018 is coming up on September 22-23 in Orlando, FL. Register www.PCOSChallenge.org. I feel honored and proud to be one of the speakers again this year. I am going to speak about the role of exercise in insulin resistance, brain health, and mental health for women with PCOS. I look forward to inspiring the audience to make exercise intentional and an integral part of their lives. Check out Dr. Fiona’s book “8 Steps To Reverse Your PCOS”. She is amazing and one of the speaker at the Symposium. I often give away a copy of her book to my PCOS clients. Get your copy at Amazon or in person at the event. ♥ Share this information that you’ve learned with friends, family, and colleagues. It is because I feel that I am contributing to the world to be a healthier and happier place. I wish everyone to be able to experience and live life to the fullest. It takes one step at the time. It starts by setting our attention to establishing our intentions and goals first thing in the morning. I’m committed to encouraging people to DO NOT live their lives like ROBOTS day in and out. STOP!!! I DID for many years, didn’t know any better, and didn’t have anyone to show me differently. I was NOT growing and uncovering my potential…I’ve been peeling the onion now. These days, after ups an downs, crashing and burning, learning, changing, and practicing, I choose to take charge of the day on my terms. Wake up, think and plan your day because that’s the way your day is going to go according to what you want instead of what others want. This is one of the most important steps you can do for your health and wellness. If you asked if I have been always like this…HA-HA, no way. My health and wellness transformation started 7-8 years ago. I had absolutely no idea of the impact my mind, intentions, thoughts, and words had on my brain and ultimately of my health. I worked in corporate America for 20+ years. I loved her career, worked hard and played hard. I was also a sugar and caffeine addict, I had prediabetes and chronic digestive issues. I lived to work, kinda. I woke up, contributed at worked a lot, had some fun, slept some, and rinsed and repeated. I love to travel and did that a lot. I worked hard and played hard (traveled). I was passionate about work and enjoyed life in my own way. Yet, I was living without a purpose and perspective of what my ideal average perfect day could be. I had no concept of what morning and evening wellness routines were. I had very little understanding of a healthy lifestyle was. Personal growth was…career growth. I am committed to my personal growth and to help my clients and friends/family to grow. Everyone has a GIFT and is UNIQUE. Everyone is a TEACHER. Everyone has a CHOICE to carry the ‘Forever STUDENT Syndrome’. Thank you very much for listening to the video, for reading this [long] post, and for sharing the information. 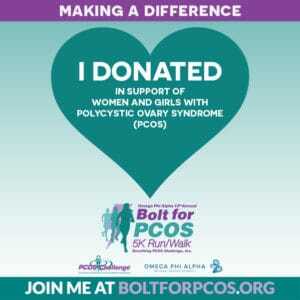 I hope I’ll see you in Orlando, FL on 9/22/18 at the PCOS Awareness Symposium and on 9/23/18 to the Bolt 5k run/walk. Register at www.PCOSChallenge.org.